Mesa High School is the oldest high school in Mesa, Arizona, and home of the Jackrabbits. Part of Mesa Public Schools, Mesa High has more than 3,200 students and boasts award-winning athletics, music, theatre programs and more. Mesa High offers diverse educational opportunities for students in academic areas including culinary arts, honors and Advanced Placement coursework, and the renowned Biotech Academy. Learn more about our offerings on our Academics page. Mesa High School staff and students are grateful for continuing support from parents, alumni and community supporters. Annual traditions include the Homecoming parade throughout the surrounding neighborhood, bonfire, singing of the school song after every sporting event and the "Haka" Polynesian battle chant performed before every football game. According to legend, "Carry on," Mesa High's school motto and song, were the dying words of Zedo Ishikawa, a Jackrabbit killed in a tragic accident in 1932. It was the night before Mesa High School was to play the first football game of 1932 against Gilbert High School. The victim of an accidental shooting, Ishikawa's reported last words were to tell the coach to go ahead and play the game and tell the boys on the team to "Carry on." Although almost a century has passed, the story of Zedo Ishikawa is carried on to new generations of Jackrabbits. Each year, Mesa High football players perform an annual cleanup of the City of Mesa Cemetery in honor of Ishikawa, who is buried there. In 1987, Mesa Public Schools opened Zedo Ishikawa Elementary School. Mesa High School's award-winning Garden of the B's was created and maintained by John Jung's environmental science students. The garden has received $33,000 in grants and multiple awards, including the Phoenix Suns/APS Green Team Award in February 2017. Community members are welcome to visit the Garden of the B's. Learn more at the garden's website. 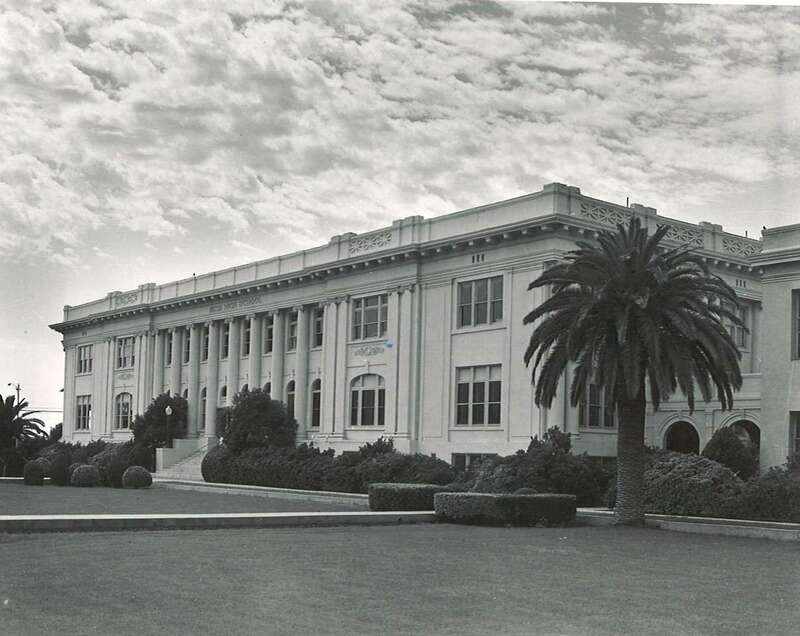 The original Mesa High, known as Old Main (pictured), was built on land bounded by Center, Macdonald, Second and Third avenues in downtown Mesa. Mesa's first free-standing high school opened in 1909. On Oct. 1, 1967, a fire completely destroyed the original building. Students went to class in temporary quarters until 1972, when the current Mesa High building opened. City facilities now occupy the land where Old Main once stood. Old Main had 12 rooms and a main floor auditorium with a swimming pool in the basement. Eight additional rooms and a small auditorium-gymnasium were built a decade later.